When five teenagers get lost and find themselves in the midst of a gold mine, they discover something extra special: five colored coins in the middle of the rocks. When they start experiencing out of the ordinary events they come back together and figure out that something special might have happened to them. Dean Israelite clearly demonstrates a passion for this project and I must admit that how the whole thing came together with Lionsgate behind it made me actually curious to check out this cinematic update. I was somewhat intrigued by the voice and style they were putting behind the film and I, in a way, was right to be so intrigued. The first 50 minutes of the film gave me something special. It is sad that they had to be lessened by another hour of film with a complete tonal shift. When I say I was into this film for the fist half or so, I mean it literally. This film really surprised and got to me up until then. Israelite was doing some really solid directing, the action scenes were visceral and done in one shot, almost all of the fluff was absent, and it left space for some solid and effective character development. I remember having a moment in the theater where I thought that this was actually very solidly written. There were different thrusts being developed efficiently and the screenplay was carrying out smart character touches. The editing was sporadically jarring, but the use of the camera was definitely making up for it. The first five shots of this film have two long takes of action that were genuinely stunning and absorbing. The characters come together in an organic way, defying genre clichés and making for a group of quirky individuals that have an identity and a place with one another. They are all outlined with personal characteristics and become instantly recognizable. Unfortunately, after the very inspiring first half there is not much else. It seems like they just forgot what movie they were making in the second half. The characters lose grit by being put on a journey that isn't interesting and does not develop them. Tonally, the film enters a big shift and starts going for fluff out of nowhere. Israelite seems to forget how to direct interesting action and the whole last act is a disaster of fast paced cutting, not understanding what is going on, and overall a total loss of affection for anyone involved. It is sad that a film that started out with such a bang in action and character becomes a totally different one by the end and leaves me with so little. There is no silver lining. It's just a very disappointing second half that completely undoes what the first one did. 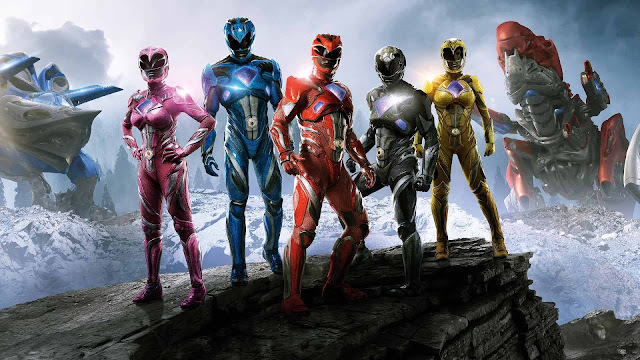 It changes in every aspect from the characters and the the tone to the how the action is shot and the CGI is used making Saban's Power Rangers an all in all an average effort with a very promising start.